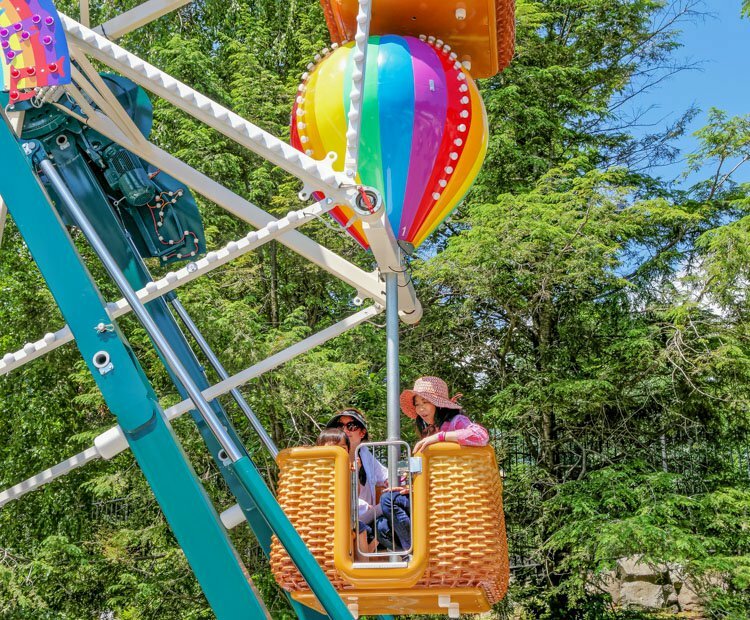 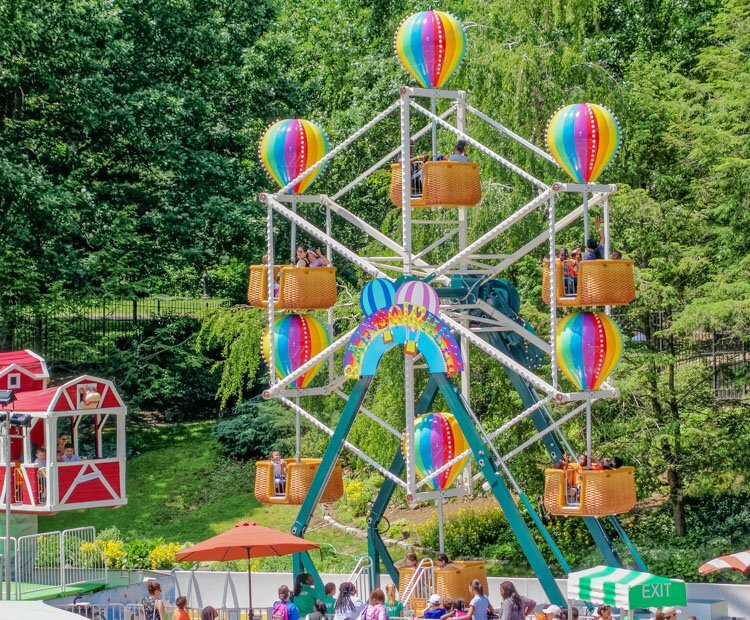 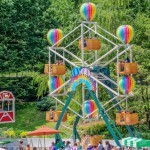 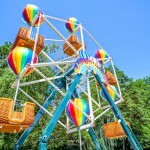 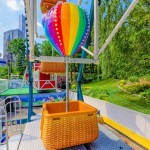 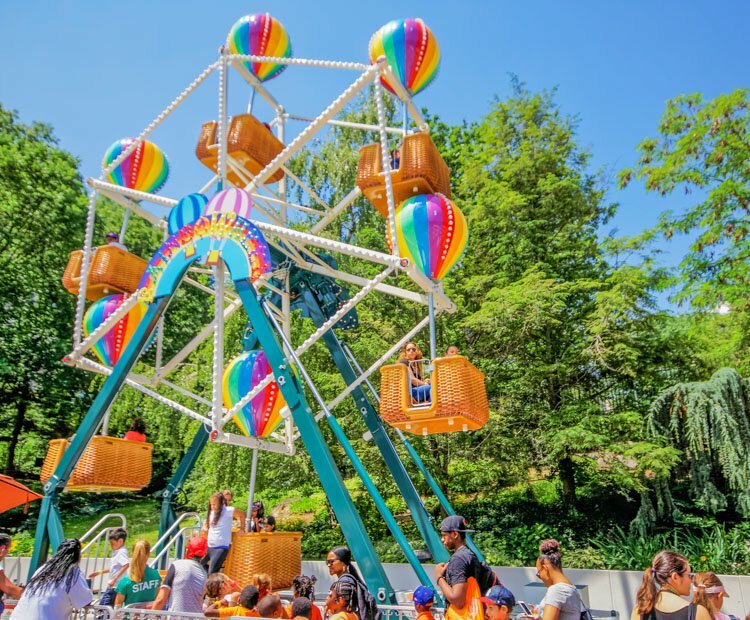 Zamperla is proud to introduce the new “Fiesta Balloon” ferris wheel. 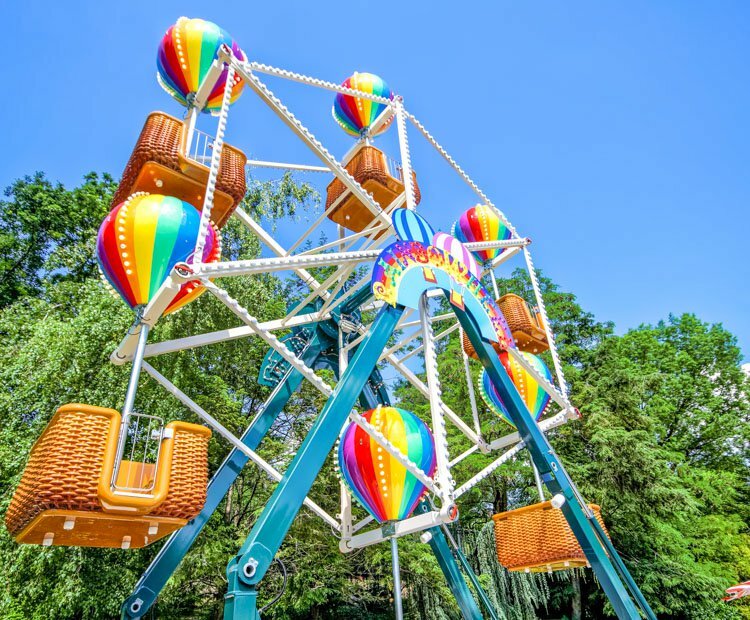 This design highly emphasizes the physical appearance of the beautifully crafted gondolas which are themed as multicolored hot-air balloons. 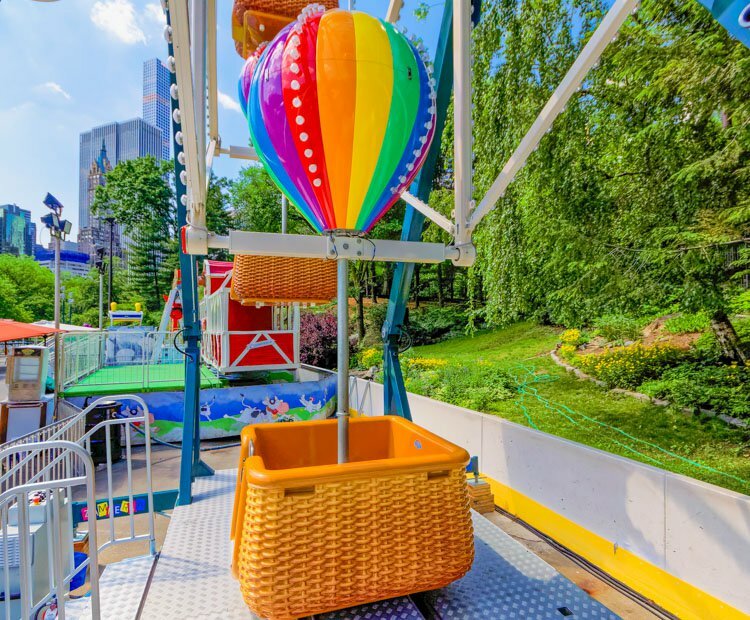 This ride is a classic Panoramic Wheel with 6 Gondolas with 4 seats each. 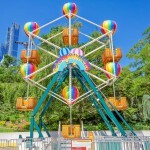 The shape of the structure, unlike a classical Ferris wheel, is hexagonal! 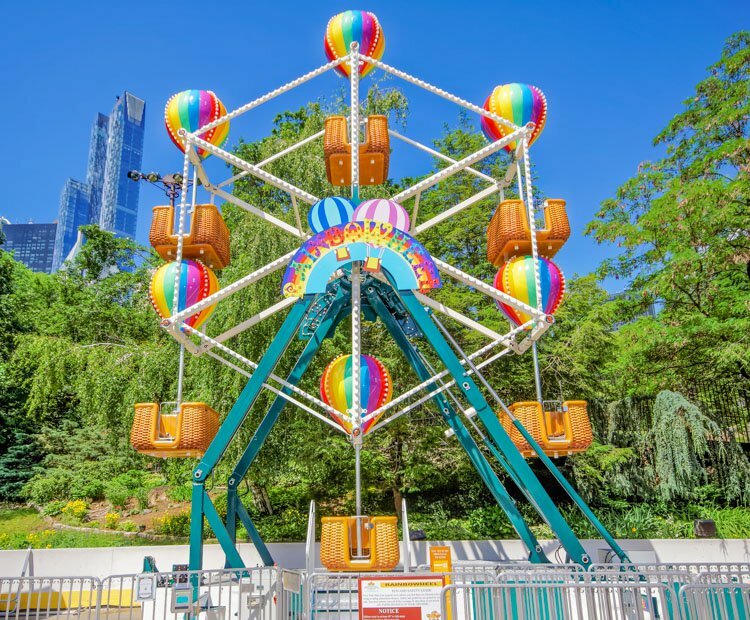 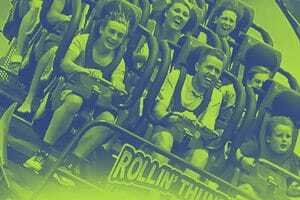 The footprint plan dimensions are 10.5 m x 5.0 m (34’ 5’’ x 16’ 5’’) and the total height of the ride is 11 m (36’ 1’’) m.
The ride is available in Park and Trailer mounted version. 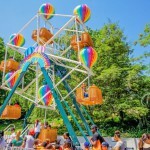 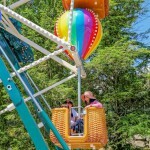 Do you need more information about Ferris Wheel Fiesta Balloon?